Singapore – CapitaLand Tech & Innovation Summit 2017.
initiative with other government agencies. China, strengthening Singapore’s vibrant local tech sector. Chinese media platform) in September this year. products and services in China. residential and integrated developments in both China and Singapore. institutes, as well as corporations and technology companies. M-DAQ is a fintech company that aims to disrupt multi-currency conversion through its unique algorithms to offer a volume weighted average price for foreign exchange. Its main application scopes are e-commerce/ payment gateway, cross border mobile wallet and international securities trading. Smart Clean provides end-to-end automatic solutions for Facility Managers, with real-time monitoring and alerting by intelligent algorithms that evaluate toilet cleanliness, standardises cleaning operations and ensures clean toilets at all times. e-commerce, retail, content publishing and online advertising. 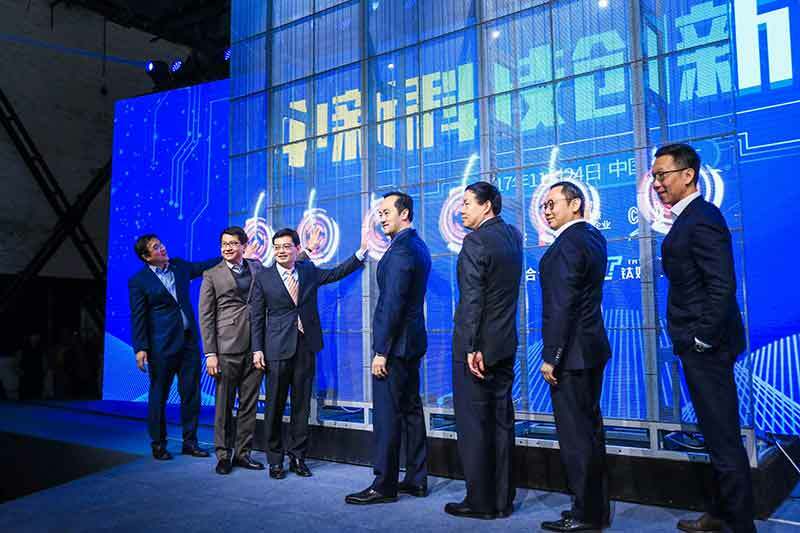 access the innovation ecosystem in Jiangsu.